The argument for buying an existing property as an investment is strong. It’s established, in an established area, and often there will be potential to negotiate on price with the vendor. If you’re willing to spend time and money on a property, then there is an opportunity there to benefit from strong capital gains. We’ve all watched television programmes where an investor takes an old property at a discounted price, renovates the property and then sells it on for a tidy profit or lets it at premium rent. Generally speaking while these successful turn arounds do happen, they’re not as common as you’d think. Older properties, even in prime locations, are renowned for hiding problems. Renovation and repair budgets are more often than not underestimated. Structural issues can appear from nowhere, and there’s no warranty or guarantee to fall back on. Electrics, boilers and central heating may need replacing, and roof tiles and window frames are often damaged by adverse weather conditions. If you’re investing in property with the intention of achieving short-term gains, and you’re prepared to take the risk associated with repair and refurbishment, then you may want to consider investing in existing property. However, be prepared to go above and beyond your budget. 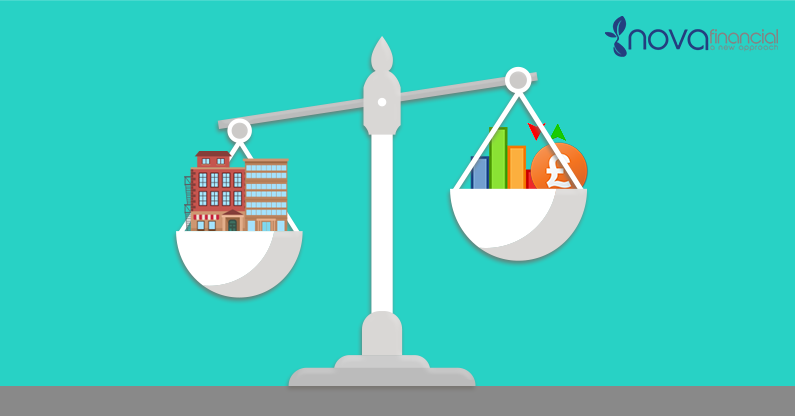 As a more long-term buy-to-let investment, an existing property may seem to offer a better return, though the expected income would more than likely be reduced by ongoing costs and maintenance. The first principle of new build property is that it is often priced at a premium over existing property, and for some investors this is a pill too hard to swallow. A further downside with new build is that there can be construction works in the vicinity, and the associated noise pollution, traffic and disruption come hand in hand. However, if you have invested in off-plan property in the UK then there is a large chance that this new construction will be part of regeneration projects in up and coming areas. Many investors ask the question of what do you really get for that premium charged over existing property? To begin with, there will be no major issues. It’s ready for tenants to move in straight away, and that gives you several weeks more rent than an existing property. As it’s new, it will have an efficient energy rating and state-of-the-art appliances and technologies. When investing off-plan, you will also get the chance to customise for your target market. Another benefit of investing in brand new property is that there will be a noticeably reduced maintenance and repair bill for at least the first decade. The property will also most likely by under a structural warranty for ten years, so any unexpected defects will be covered free of charge. Because of the above, new build properties are easier to let and hence attract a deep tenant pool. The desirable qualities of a new build home also allow for a premium rent to be charged. All of a sudden, that premium price looks like a price worth paying. To buy a property that isn’t finished can be a leap of faith for any investor. When investing in off-plan property all the benefits of new build apply, plus a few more on top. For example, the value of the property would be expected to increase by 10-15% over the build period, and given that only the deposit would be required at this point, you would receive the capital gains on the full price of the property. But, there is some potential for a great return on investment there. Moreover payments for the deposit can be staged through to completion, which allows you to keep the money in the bank for as long as possible. On the topic of completion, stamp duty is not due on off-plan property until it is complete which gives investors extra flexibility in terms of the ability to sell before completion (subject to the contract). So new build, existing, or off-plan? Whilst old property does have its upside and can work, the higher running costs, more hands-on approach, and uncertainty of return makes off-plan and new build a lot more attractive for the more passive investor.